Anita Harris Studio Open Day with special guest Andrew Hull. Taking place at 1 Minkstone Works, Normacot Road, Longton, Stoke on Trent, ST3 1PR. 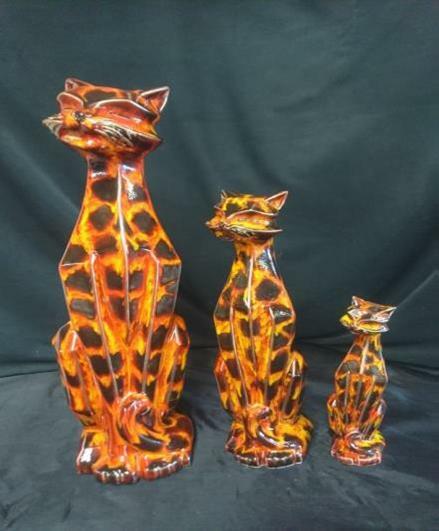 Famous artists, Anita Harris, Sam Johnson and Pete Harris invite you to their truly unique Pottery Studio, full of quality ‘British Hand Painted Ceramics’. Anita Harris was former ‘Head Designer’ at Poole Pottery and later worked for Moorcroft Cobridge. Well regarded by professional expert Eric Knowles as a ‘Collectable of the future’, Anita is opening the Anita Harris Art Pottery Studio for a special event with friend and artist Andrew Hull, also formally of Moorcroft.